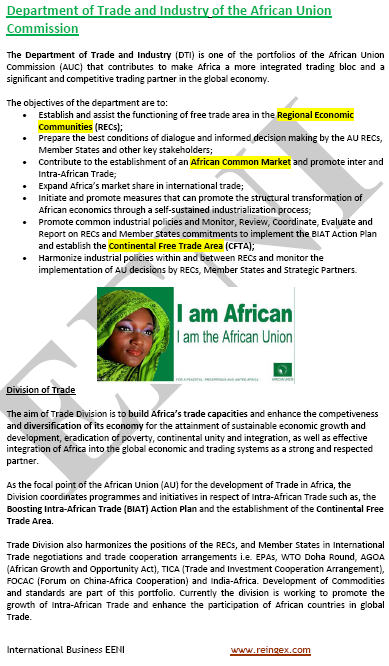 The main objective of the Optional Subject “African regional integration” is to understand the irreversible African Integration process whose ultimate goal is the creation of the “African continental free-trade area”. 1- Introduction to African Integration. 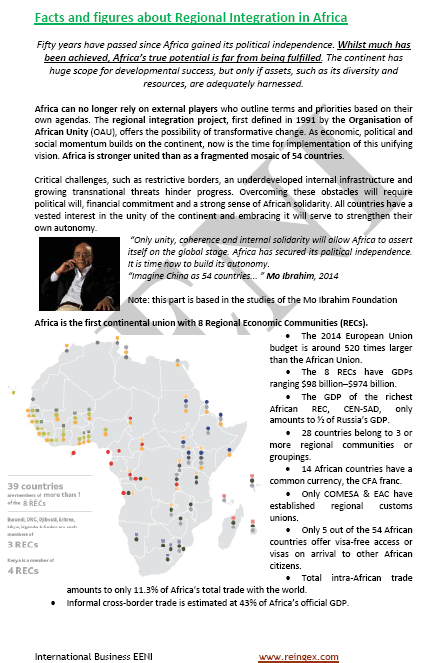 2- Regional Economic Communities (REC) in Africa (summary). 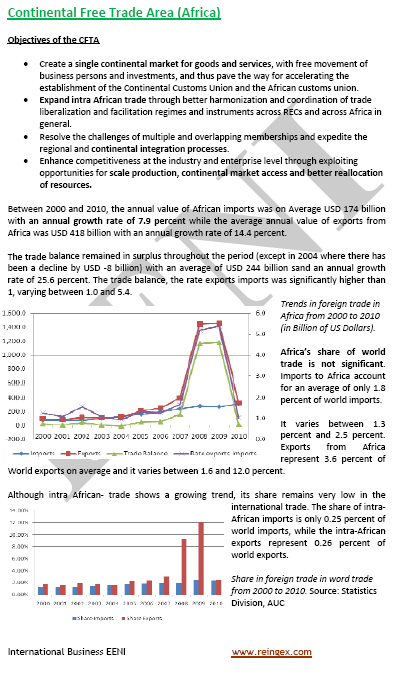 3- Other African Economic Organisations (summary). 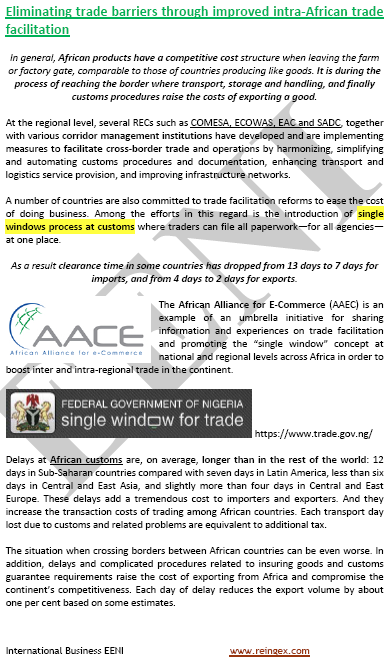 2- Action Plan for Boosting Intra-African Trade. 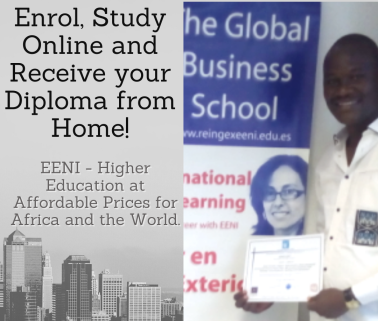 Syllabus of the Program: Information and communication technologies (ICT), Trade and African regional integration. 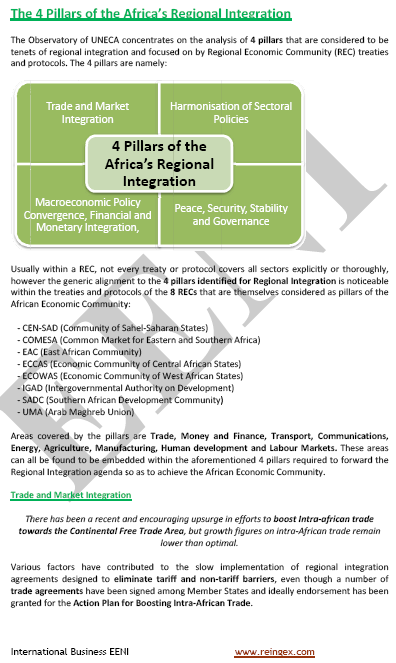 Syllabus of the Program: Regional African Financial Integration. Syllabus of the Program: Infrastructures and telecommunications in Africa. 2- Programme for Infrastructure Development in Africa (PIDA). 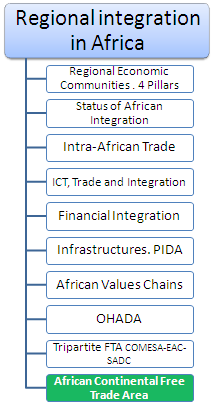 Syllabus of the Program: African value chains. How can the African enterprises take advantage of the value chains? 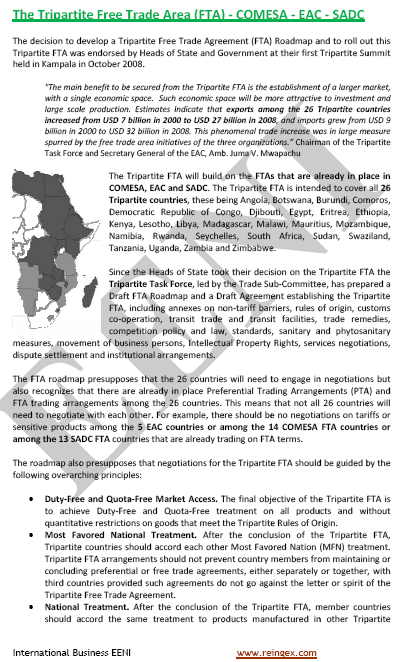 Why Africa needs the Continental Free-Trade Area?